The Portland Trail Blazers continue to ride a mountain of momentum late in the regular season, as the hosts defeated the Miami Heat 115-99 at the Moda Center in Northern Oregon. 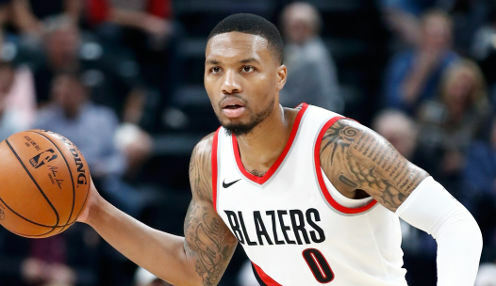 Leading the way for the Trail Blazers was Damian Lillard, as the 27-year-old point guard from Oakland, California had a game high 32 points, while grabbing five rebounds and passing out 10 assists for a double-double for the contest. Portland currently is on an NBA best 10-game winning streak and is the current front-runner for the three seed in the Western Conference. The hosts are two games ahead of the Oklahoma City Thunder, but are 10 games behind the Golden State Warriors for second in the West. Also showing strong for the Trail Blazers was Jusuf Nurkic, as the 23-year-old center from Tuzla, Bosnia-Herzegovina had 27 points, while pulling down 16 rebounds and dishing out three assists for his own double-double for the game. This combination of Lillard and Nurkic, along with C.J. McCollum, is an intriguing one, but they are the only three Portland players who average in double figures. That is likely to be an issue come the play-offs. Meanwhile, the Heat are holding on to the final seed in the Eastern Conference, as Miami has a record of 36-32 on the season. The visitors have won six of their past ten games and are only half a game behind the Milwaukee Bucks for seventh place. Miami heads to Sacramento on Tuesday to take on the Kings, while Portland host LeBron James and the struggling Cleveland Cavaliers on Thursday. The Cavs are 4/9 to win the Eastern Conference, with the Toronto Raptors 4999/1.